We are gathered here today to celebrate the new life with God of our Sister Agnes Miriam Donovan. Sister Agnes Miriam died peacefully, on January 18, 2017 in the Maryknoll Sisters Home Care facility here at Maryknoll. She was 95 years old and a Maryknoll Sister for 77 years. Agnes Miriam Donovan was born in Auburn, NY on September 22, 1921 to Mary Esther (Kennan) and Thomas Donovan. She had four brothers and two sisters: Thomas Jr., Joseph, James, Harry, Ethel and Esther, who also was a Maryknoll Sister. Her parents and siblings have all predeceased her. Agnes graduated from Auburn High School in 1939. She entered the Maryknoll Sisters Novitiate at the Maryknoll Sisters Center on December 8, 1939, from her home parish of St. Mary’s in Auburn in the Diocese of Rochester, NY. At her Reception she received the name Sister Miriam Anthony. She returned to her baptismal name after Vatican II. She made her First Profession of Vows on June 30, 1942 and her Final Vows on June 30, 1945. During this time and following Sister Agnes earned three degrees: a Bachelor of Education from Maryknoll Teachers College, a Master of Arts Degree in Religion from Notre Dame University, and a Masters in Education from Iona College. Sister Agnes was very well prepared for what would follow in her religious and mission life. Her first assignment, though, was teaching kindergarten at St. Bernard’s School in St. Louis, MO. 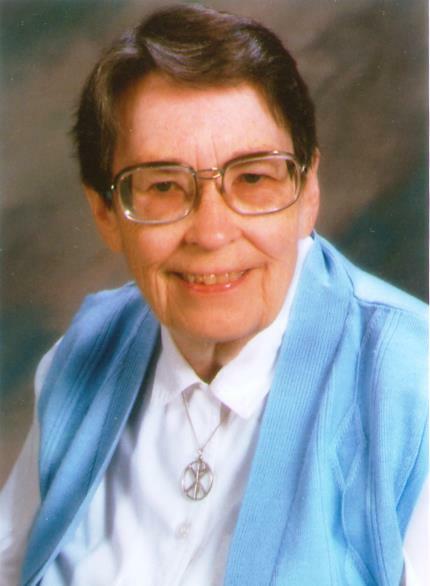 This was for only one school year, however, before she began her assignments as Assistant Novice Mistress from 1948-1952 and then Novice Mistress from 1953-1963 at Valley Park, MO, and from 1964-1969 here at the Maryknoll Sisters Center. At Valley Park Sister Agnes liked the smaller groups that were entering at that time, about 15 women. If the groups were too large she was afraid they would lose their family spirit. Nevertheless, her time in the novitiate at the Center coincided with the Vatican II and no doubt presented some new challenges. However, many Sisters over that long period have expressed much appreciation for her guidance and her gentle manner. The three remaining Sisters: Sister Patricia Roe, Sister Elinor Doherty and Sister Agnes returned to the Maryknoll Sisters Center in the fall of 2002. It was a special time for Sister Agnes, who was able to accompany her sister, Sister Miriam David, in her last illness. Not too long afterward, Sister Agnes’ health began to fail, and in 2006, she became a resident of Maryknoll Sisters Home Care, where many of the nurses and nurse aids have cared for her over these years. To these and to volunteers who have accompanied Sister Agnes in her journey, we, Agnes’ community, are most grateful. The following quote from Sister Joan Chittester’s book, “The Gift of Years” says to me something of what I have seen in Sister Agnes this past year. “The twilight time is time for trust. It is all out of our hands now. We have used our last year’s well. We have lived with all the energy we had. And now we must trust the time of no energy at all to make us open in a different way to those around us. We must trust our doctors and our caregivers and our situation and passage. We must allow ourselves to be cared for and trust that the people doing it are receiving something from us, as we received from them. We welcome with us today Father David La Buda, our Maryknoll brother, who will preside at this Mass of Christian burial.